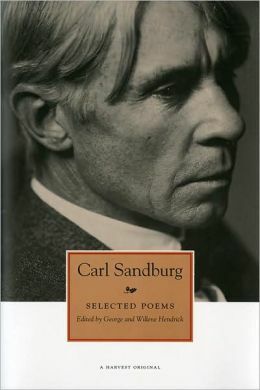 “… Sandburg was recognized as a member of the Chicago literary renaissance, which included Ben Hecht, Theodore Dreiser, Sherwood Anderson, and Edgar Lee Masters. 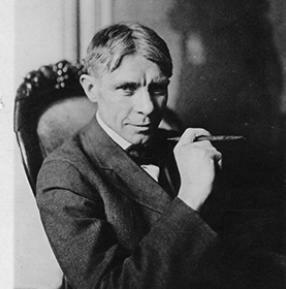 He established his reputation with Chicago Poems (1916), and then Cornhuskers (1918), for which he received the Pulitzer Prize in 1919. Soon after the publication of these volumes Sandburg wrote Smoke and Steel (1920), his first prolonged attempt to find beauty in modern industrialism. With these three volumes, Sandburg became known for his free verse poems that portrayed industrial America. In the twenties, he started some of his most ambitious projects, including his study of Abraham Lincoln. From childhood, Sandburg loved and admired the legacy of President Lincoln. For thirty years he sought out and collected material, and gradually began the writing of the six-volume definitive biography of the former president. The twenties also saw Sandburg’s collections of American folklore, the ballads in The American Songbag and The New American Songbag (1950), and books for children. These later volumes contained pieces collected from brief tours across America which Sandburg took each year, playing his banjo or guitar, singing folk-songs, and reciting poems. This entry was tagged Blue Heron Speaks, Blue Heron Speaks April 2015, Carl Sandburg, National poetry month. Bookmark the permalink.